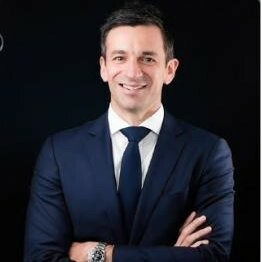 In this guest post, Dean Capobianco (pictured below), LiveRamp’s managing director of emerging markets across the Asia Pacific, argues why customer obsession and identity resolution are key to the success of marketers and brands an increasingly digital environment. In the age of the on-demand economy, where consumers expect instantaneous access to goods and services, no less, marketers are finding it more challenging than ever to retain loyal customers. It doesn’t help that a consumer is also typically bombarded with at least 600 brand messages each day. With myriad brands offering instant gratification within easy reach, consumers are spoilt for choice. As such, marketers need to ensure high relevancy by delivering the right message to the right person, on the right device at the right time. In order to do this, a renewed focus on ‘customer obsession’ is a must. But what exactly is that? Customer-obsessed marketers want a perfect understanding of their target audience. They seek to comprehend every human interaction with their brand, be it across digital or traditional channels. Amazon, for example, does this really well. A core part of the company’s 14 leadership principles, customer obsession means leaders always “start with the customer and work backwards”. To achieve such an in-depth understanding of customers, audience recognition in a single channel alone is unfortunately no longer enough. Instead, marketers must be able to identify their customers through all touchpoints and use this as the strategic foundation not only for marketing, but for their business as a whole – think product design, website or in-store experience. Ultimately, we need to create the seamless, relevant, immersive experiences that consumers are increasingly demanding today. In a report released by Forrester last year, creating an omnichannel view of their customer was the major focus for 99 per cent of marketing professionals interviewed. The ability to tie all of these data from multiple touchpoints together and resolve them to one anonymous persistent identity is called ‘identity resolution’. Without this step, marketers are faced with poor targeting, poor understanding, poor measurement, as well as wasted ad spend and unfortunately, often poor customer brand experiences. The process involves connecting hundreds of identifiers (people, data, devices – across any channel). Marketers can then tie them all back to the same person in a deterministic, privacy-safe way to enable people-based marketing, measurement and personalisation. People-based marketing is essentially a philosophy borne out of identity resolution. It is the ability to plan, activate and measure interactions at an individual user level by determining consumer identity across digital and offline channels. The concept is transitioning marketing execution from what has historically been a siloed channel strategy to a new omni-channel customer centric strategy. This is of course easier said than done, both given the quantity of data and the fact that identifiers for an individual are constantly changing and can quickly become outdated. Take identity in the offline world, for instance – people move, change phone numbers and use different versions of their name, amongst others. Connecting data points in the digital world alone is already extremely challenging in its own right, so how can we effectively tie them back to ever-evolving offline identities and data as well? In order to reliably link a consumer’s digital and offline footprint to their user profile, marketers simply need a unique and persistent identifier such as an email or log in. This is the key to creating an omnichannel view of your customer and ultimately, enabling addressability in your marketing strategies and plans. Identity resolution is the foundation that enables you to improve your customer experience and ultimately enable true people-based marketing. But in addition to that, as data, analytics and technology continue to evolve, one of the few truly unique assets businesses can effectively call their own is their customer identities and profiles. The customer identity graph will soon become a balance sheet worthy asset that can be monetised internally and, in some cases, externally. With Forrester predicting that identity resolution is the corporations’ next competitive battleground, it is safe to say that marketers who get it right will thrive, while those who don’t won’t. In fact, Forrester found that almost half (49 per cent) of marketing decision makers reported increased sales revenue as a result of people-based marketing strategies. How’s that as food for thought?